Apple pioneered a workhorse for artists, showed the world that touch-screens are possible, and created small devices that can do larger things we never thought of. Today, screens are getting bigger as the functionalities become more complex. The iPad Pro proves that it’s back on track in the technology game. It tries to capture the hearts of those who still heavily rely on laptops for their daily grind, regardless if you’re an artist, writer, accountant, or a student. Read on to find out if this one suits your lifestyle. Apple’s ingenuity on creating another future to look forward to for tablet devices created a clamor for sleek, stylish, and more portable device than a laptop cloning its functionalities in a smaller scale. 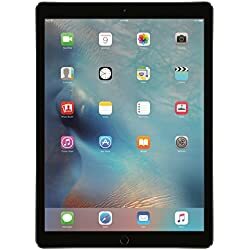 Screen size: You may choose between the 9.7-inch display, which is similar to the iPad Air 2 or the 12.9-inch for the pro-looking one depending on your budget and needs. Processor: Both display sizes have A9X chip and M9 coprocessor, a notch higher than the iPad Air 2. Operating System: It works in iOS9, the most advanced and improved operating system to date of Apple devices. Camera: The smaller version got the edge on this one. It has more megapixels (12-megapixel iSight camera) and features true-tone flash, auto HDR, sapphire crystal lens cover, and improved noise reduction. The bigger one has an 8-megapixel iSight camera. Memory: You may choose from 32GB, 128GB, and 256GB. 256GB is a big jump compared to the memory of the previously released models as it is expected for the users to heavily rely on this device for daily use other than media and surfing consumption. Given that the major complaint with these devices is battery life, Apple tried to improve on this aspect. With its larger size than the predecessors, you may think that the battery has more power. However, its high performance and improved display eats up the battery life giving you only up to 10 hours maximum enjoyment for continuous web surfing, movie viewing, or music playing. Doing multitasking with this device can even decrease battery life by up to 40 percent. “I’ve got you covered throughout the day. Just don’t forget me and find the nearest outlet when your device is in the red,” says the charger. A TV, laptop, or a tablet? It really depends on how you intend to use the iPad Pro to qualify it in a single segment. Being a hybrid of three, this powerful device can help you alleviate the loneliness of missing your home theater with its larger screen, crisp resolution and booming sound perfect for movies and TV series marathon on the go. For those who are hooked on gaming, this supports games compatible from its predecessors and some running on MacBook. This powerful gadget offers top performance for action-packed movements, high speed processing to be able to run game commands at the speed of light, and four speakers to deliver the sound travelling up to your nerves. Its design for mobility makes it a top-of-mind choice as a laptop replacement. Depending on the nature of your laptop use, you may have demanding requirements which iPad Pro can disappoint you. For example, navigating on spreadsheets requires more effort and adaptability to the new device to be able to perform the work needed. If you do not have the luxury of time to be a learner, you might think this is a terrible option. If you also have the habit of opening a lot of windows, going over it multiple times through switching windows while creating a document, or doing overlap tasks on applications, then this is not to be considered as your laptop replacement. But if you concentrate on finishing a task on a single application, this can definitely run over your laptop. iOS9 increases its productivity due to its split view, letting you run two applications side-by-side. This is preferred in a landscape mode, resembling like a real laptop. You can also adjust the screen sizes for each window, making more room for the one with more work to do. The Pencil is a stylish stylus that imitates what a real pencil can do. It also looks like a real pencil with its 7-inch length, sharpened-looking tip, and round body. It is designed for handwriting and drawing that mimics the feel of a real pen adapted to the functionalities of a techie notebook. Perspiration, hand lotion, and the Pencil don’t mix. Try it and it surely is a recipe for disaster. The body is made of white plastic shell that can lose grip if your hands perspire or if your fingers are a bit oily. On the other end, it has a lightning cable plug to charge the Pencil to your iPad Pro. The Pencil is sensitive to pressure and angles, creating strokes and shading similar to what the real one can do. It is impressive at what it can do compared to the overall previously released styluses. Overall, it is a nice-to-have accessory for average users but a must-have for artists, creatives, and those who want to get the best out of the device. Unfortunately, it’s sold separately. The Smart Keyboard acts as a cover, a stand, and a real keyboard. This is connected to the device through magnets, making them easy to attach and detach. This peripheral makes everything easier for a user, especially those who are heavy word processor users or web content managers. Those who miss using a mouse or a trackpad will still have that longing feeling for either of these two. Clearly, the digital world knows no boundaries for someone with a creative mind. The breakthrough in personal computing was reborn. 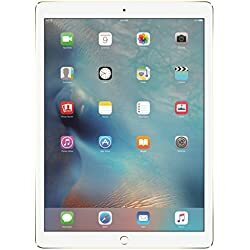 For loyal users, it may dismay them that the iPad Pro is not how groundbreaking as it seems given that they own several Apple products. For those who jump shipped, this may make them fall in love again with Apple products. So, what can it for you? At first I was little bit skeptical about the size but I was wrong love the size. It’s big but very light and the picture is amazing. I love the large screen is very enjoyable. Spectacular speed and screen quality. It is FAST. The A9X chip makes it blazing fast. The hardware is beautiful. It’s a great weight. It’s super fast and the stylus is really nice. Split screen is awesome. Totally different experience compared to smaller ipad. I can now multitasking and it’s very smooth. Best Retina display from apple. Amazingly large table. But Pencil Stylus not included c’mon Apple. Spectacular! Big, bright, Cleari images. Easy to use and better sound system. Stunning display and very fast like what others say. Four speakers and surround sound is powerful and enhances user experience. Battery life could be better and the screen resolution is stunning. Just what other says it is the greatest tablet but just what the author says it gets expensive with all the accessories. Amazing graphics and audio. Screen resolution is superb. Out of this world screen graphic. Bigger the better for me but dang Apple it’s overpriced!! Another sleek apple design, superb display and 4 speakers..WOW!